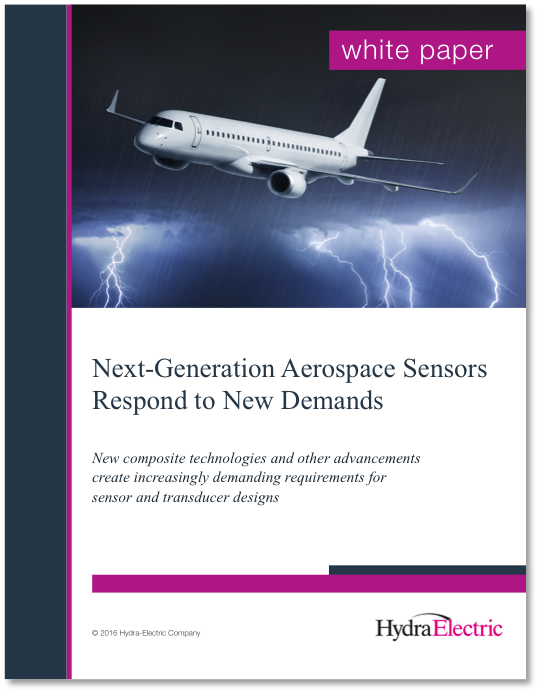 New composite technologies and other advancements create increasingly demanding requirements for sensor and transducer designs. The advent of advanced composite materials used in constructing aircraft along with the push to reduce costs of operation have resulted in significant demands for enhanced requirements with component parts such as sensors. These next-generation efficient aircraft require tough sensors with real-time measurement capability to monitor the status and health of the aircraft. The result is both an increase in quantity of sensors needed per aircraft, as well as a demand for more robust designs that survive in the harsher environments of EMI, lightning, temperature extremes, and vibration all in the smallest package with the lightest weight possible.